Multiple scenes of Sherman County, Kansas. The photograph of the Gray Front Hotel dining room shows Anna Neu behind the counter, and Maude Neu and Jospehine Neu. 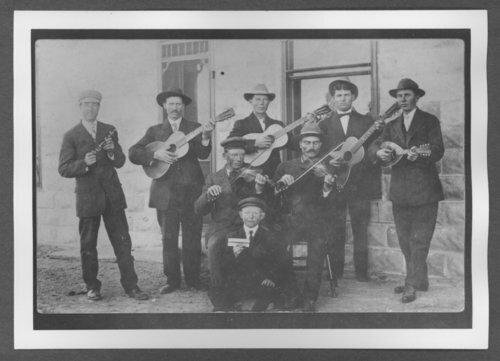 Scenes from Sherman County, Kansas - Swedish band in the Ruleton area and Cheyenne County.